If you came to Egypt Lake-Leto for a concert or just wanted to check out the scenery, you can be sure you will have a lot of fun. A dental emergency can come on fast and needs to be dealt with quickly. Fortunately, there are many dentists and dental specialists in the area that can help you during your time of need. 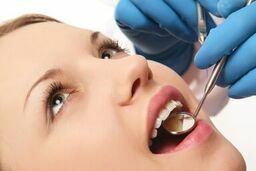 Emergencydentistsusa.com has worked to put together a list of dentists and dental specialists in the local area for you. All that is left for you to do is go through the list, choose the dentist you wish to visit, and give them a call to set up your appointment. If you are in a hurry, or just want some additional help, call our toll-free dentist finder hotline. The team at our hotline is there to help you identify the dentist or specialist you require. They will listen to your needs, go through the available options, and let you know their hours of availability. From there, all you have to do is pick the dentist and we can schedule your first appointment for you. We recommend you arrive 15 minutes early to your appointment to fill out any paperwork that might be required. You should bring your ID, insurance card, and payment method with you. It is also helpful to make a lists of current medications and allergies. There are many options for dentists and specialists in Egypt Lake-Leto, Florida. You can choose from a general dentist or a specialist such as an oral surgeon, pediatric specialist, cosmetic specialist, and more. Before seeking treatment from a specialist, consult with a general dentist. If they see a need for you to visit a specialist, you will be referred to one. Description: Muscaro & Martini Dentistry provides general oral health care and specializes in cosmetic dental service. A few of the services the offer include fillings, crowns, bridges, restorations, TMJ, veneers, and much more. Description: The team at Lake Park Dental takes a flexible approach to your treatment and wants you to be comfortable while providing the best possible dental care. The office provides a wide variety of services such as implant dentistry, orthodontics, sedation dentistry, and more. They provide emergency dental care. PPO’s are accepted and financing is available. Description: Agoka Dental, USA is devoted to providing you with comprehensive and preventive care. The staff believes the patients should be informed of all decisions regarding their care. Most PPO dental insurance plans are accepted as are most credit cards and PayPal. Financing is available. Any tooth pain that lasts an hour or more requires emergency treatment. A problem caught early can prevent further complications from happening. If the pain you are feeling is from an accident, you should head to the ER to be checked out. Take a few minutes before you go to a new dentist to check out their licence and credentials. This can be done by visiting the Florida Dental Association website and searching the dentists name. You may also check their information when you visit the office.